Steal Emily Ratajkowski’s style for a casual date night! You’ll need at least the basics: a silk top, a biker jacket, and distressed boyfriend jeans. Go all out by accessorizing with a layered necklace and your Jessica Diane wristlet. 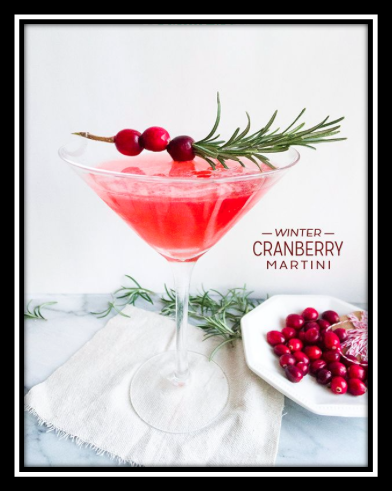 If you’re hosting a party soon, we suggest you impress your guests with this chilled cranberry martini. Instead of just buying plain ol’ juice at the store, this recipe pairs gin with a one-of-a-kind homemade cranberry-infused simple syrup. Plus, you can even use the extra syrup to make a jam or sauce for appetizers! Slip on a pair of leather pants to stay warm and fierce on a cold winter’s day. Wear a simple shirt under a classic white blazer, and finish the look with suede pumps and the Jessica Diane Black Cali. Tip: Paint a bright polish on your nails and grab a swanky fur coat for a little extra sass!